Mahu Whenua consists of four adjoining high country sheep stations (Motatapu, Mt Soho, Glencoe and Coronet Peak) which stretch from Wanaka through to Queenstown. 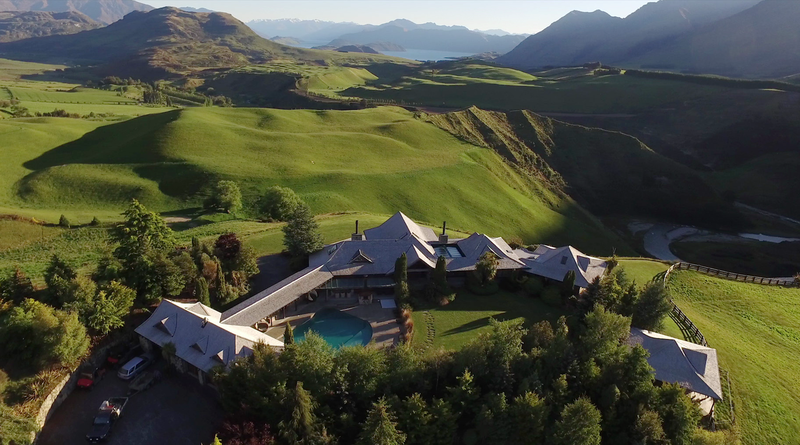 Easily accessible, the Ridgeline Homestead at Mahu Whenua is only 20 minutes drive from Wanaka, 60 minutes drive from Queenstown or a 10 minute helicopter transfer from Queenstown Airport to the local helipad. The Homestead boasts uninterrupted views of Mt Aspiring National Park and Lake Wanaka and has a rustic design with modern features to ensure easy living. A sprawling farmhouse kitchen, large open living room, dining room, and a media and games room provide endless spaces to unwind. Numerous outdoor locations will allow you to simply sit and absorb the view, dine or lounge beside the pool and watch friends and family enjoy croquet or petanque. The local helipad is perfect for easy transfers or heli-based activities. Exclusive-use of the Homestead sleeps up to 12 people. The Homestead itself sleeps eight guests – two in each of the Homestead Suites which feature king or king-split beds with ensuite and bath, and four in the Family Bunkroom. There is also a staff room in the Homestead which can sleep two in two single beds if required. A very short walk from the Homestead and nestled amongst native beech forests are the self-contained Cottage Suites which look out over the Motatapu River and stables. Each Cottage Suite can accommodate 2 guests with king-split beds and ensuite with bath.